More promo fares coming from Cebu Pacific Air! For our readers who are need cheap tickets for their trips, read this latest Cebu Pacific seat sale 2017! Tickets on sale on this promotion are good for trips for the months of March, April, May 2017. Several local and foreign destinations are on low fares including the new routes of Cagayan De Oro to Tagbilaran or Bacolod which can be booked for as low as P899. Likewise, Cebu to Bacolod, Calbayog, Clark, Iloilo, Ormoc or Roxas promo seats are also available on the same rate. As for the international seat sale, cheap tickets start at P1,799 ALL IN for Manila to Kota Kinabalu. More low fares are available for international trips to popular Asian routes like Hongkong, Singapore, Macau, Bali and other places. Booking for this Cebu Pacific promo fare is until February 9, 2017 or until seats are available. Limited sale tickets, so book your flights the soonest possible time. 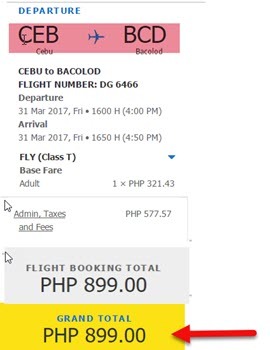 Cebu Pacific promo tickets are good for one-way trip inclusive of 7 kilos hand carry baggage, base fare, Web Admin Fee, taxes and fees. 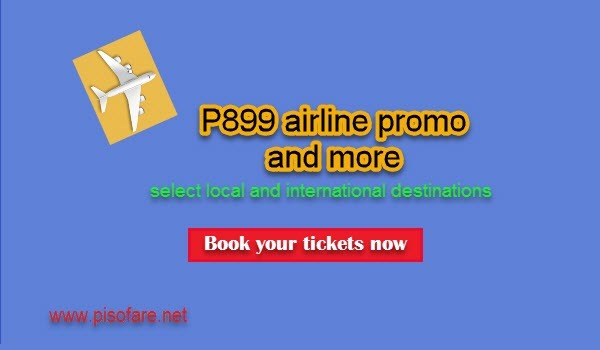 Cheap tickets are available via online booking at www.cebupacificair.com or by purchase thru the ticket outlets and travel agencies. You may also call Cebu Pacific hotline at telephone number: (02) 702 0888 (Manila) or (032) 230 8888 (Cebu). To make your flight more comfortable, you may buy add-ons like selecting your preferred seat, purchase of checked baggage allowance or have flight changes up to 4 hours prior to your departure. Want more promo fares? LIKE and FOLLOW us in Facebook: PISO FARE TICKETS for more airline promos 2017 to 2018, PISO FARE 2017, travel tips and updates!! !